Allan Zeman, chairman of Lan Kwai Fong Holdings Ltd.
December 14, Lan Kwai Fong Holdings Ltd., the developer of an upscale dining and entertainment destination in central Hong Kong of the same name, plans to speed up its expansion into mainland cities, where consumer spending is on the rise. Allan Zeman, founder of the Hong Kong cultural landmark and chairman of Lan Kwai Fong, told reporters in Hong Kong that he aimed to replicate 4-5 Lan Kwai Fong projects in mainland cities, including Haikou and Hangzhou. The ultimate goal is to launch an initial public offering, through which the company expects to raise $700-$800 million to finance large-scale expansion, Zeman said. Zeman opened a restaurant in 1983 that became his claim to fame. A year later, he invested HK$32 million ($4.1 million) to acquire an entire block in Hong Kong and founded Lan Kwai Fong. The area is now one of the city’s most popular entertainment destinations. Last December, Lan Kwai Fong opened its first mainland development in southwestern China’s Chengdu, covering 43,000 square meters — 18 times the size of the Hong Kong site. Local investors account for close to two-thirds of the businesses in Chengdu’s Lan Kwai Fong, ranging from clubs and bars to high-end stores dealing in red wine, cigars and clothing, as well as teahouses and hot pot restaurants that are typical of the local culture. Lan Kwai Fong said it had received several invitations from mainland partners to replicate the project, and chose Chengdu as its first destination thanks to the city’s long history of leisure and entertainment. Zeman said in September that his company had opted to develop its second site in Haikou, on the popular tourist island of Hainan, ahead of offers to open in Hangzhou, Foshan, Qingdao and Shenyang. The project will receive an investment of some RMB 200 million ($31.4 million) and is expected to be inaugurated in late 2013, Hong Kong media reported, citing Zeman. 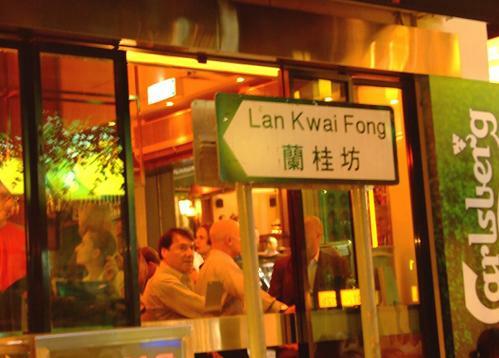 According to Zeman, Lan Kwai Fong aims to have 4-5 mainland branches before launching an IPO. Potential future locations include Hangzhou, Dalian and Guangzhou. "Consumer spending is huge in China, it’s absolutely amazing," Zeman said in a January interview with Bloomberg. He said despite slowing economic growth in some regions of the world, consumption in mainland China remains unaffected and robust, which would pave the way for his group’s IPO.